Home > Blog > Fresher’s Event at Student Central! Fresher’s Event at Student Central! The new semester is almost upon us at LSBM! So, thoughts turn to welcoming all the new students to our family! 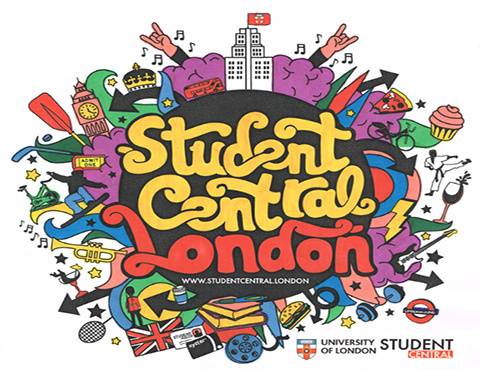 A good place to start is with the Fresher’s event at Student Central, which is directly opposite our Malet Street HQ. The event runs from 12 noon until 4pm on Friday 28 Sept 2018, but with free Student Central goodie bags on the door and plenty of stands for you to visit, spanning everything from eating and drinking to charity organisations, it’s best to get there early! You will be able to see the Sports Clubs and Societies that you can join as well, so can see what’s on offer, sign up and get involved. There will also be a chance to find out more about charities and volunteering options that pop up throughout the year. This is in addition to the many societies that you can also join through our own Student Guild. They will be serving free fresh and healthy Vietnamese street food in a pop-up Pho Bar with a selection of noodles, delicious proteins like pulled pork and tofu along with a selection of vegetables and toppers. During Fresher’s Week Student Central is also hosting Cocktail Nights, Singing events and more!